You can connect your Mac and your iPhone via Wi-Fi LAN if it exists. 2. Choose “AirPort” or “AirMac” in the list. 3. Choose the existing Wi-Fi netowrk in “Network Name” pop-up menu. ex. 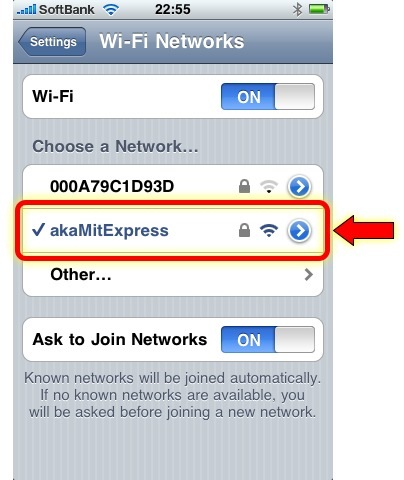 “akaMitExpress” in this case. 5. Setup TCP/IP according to the LAN you are using. 6. Confirm your Mac’s IP Address. ex. “10.0.1.3” in this case. 4. Choose your Mac. ex. “akaMitExpress” in this case. 5. Tap “Arrow” button on the right side of the item. 6. Setup IP Address according to the LAN you are using. 7. 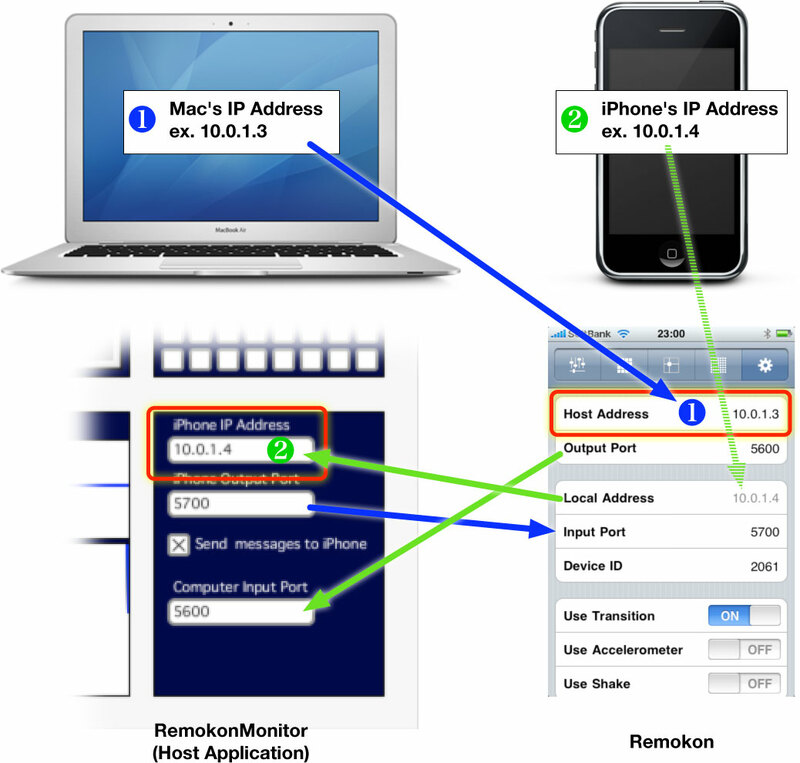 Confirm your iPhone’s IP Address. ex. “10.0.1.4” in this case. 1. 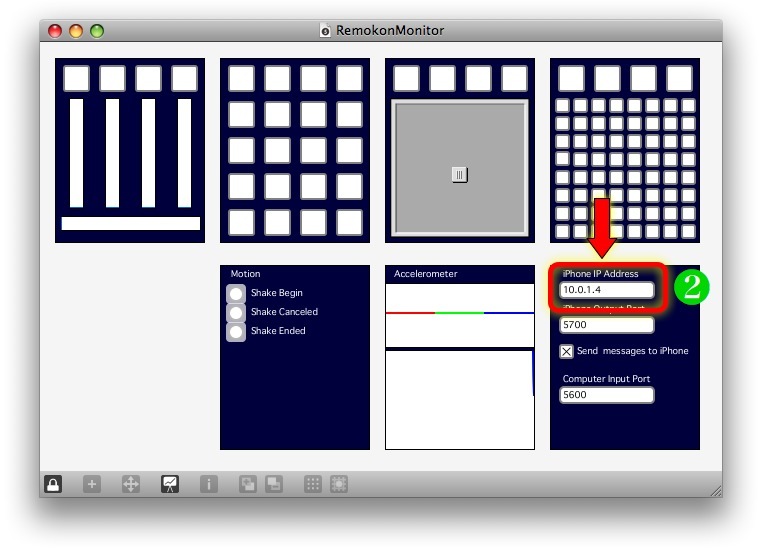 Open “RemokonMonitor” application (or any host application). 2. 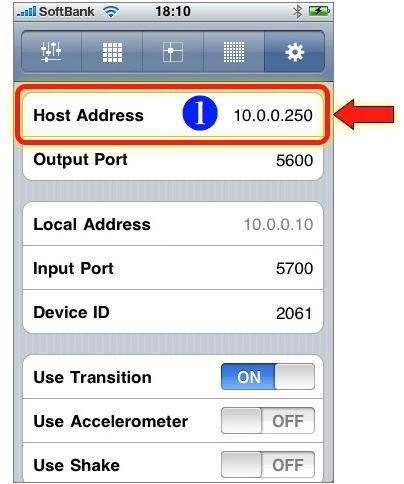 Set your iPhone’s IP Address in “iPhone IP Address” field. ex. “10.0.1.4” in this case. 2. Tap “Gear” icon on the top bar. 3. 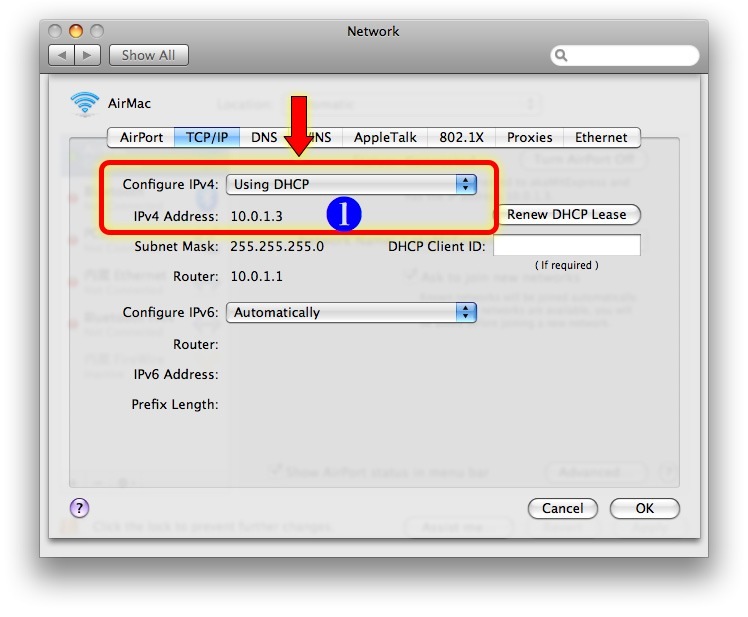 Set your Mac’s IP Address in “Host Address” ex. “10.0.1.3” in this case. 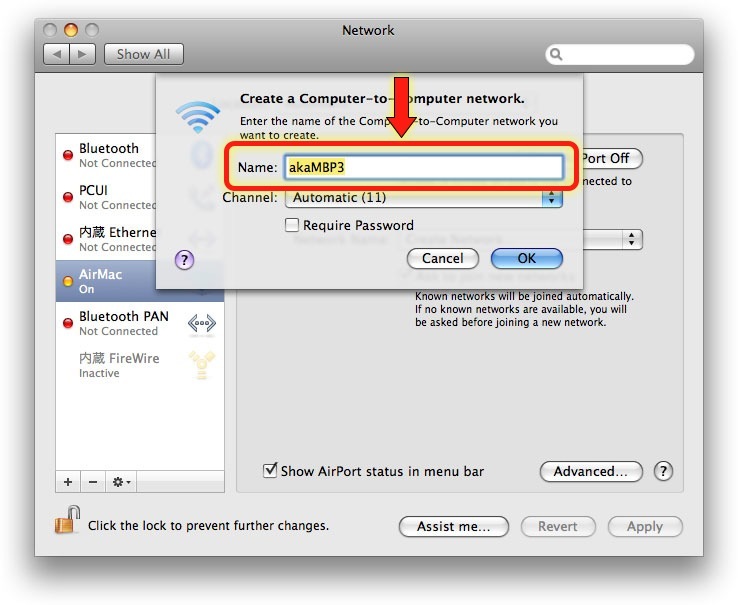 When you can’t use a Wi-Fi LAN, you can make your Mac’s built-in AirPort as a Wi-Fi Basestation. Then you can connect your iPhone to your Mac. 3. 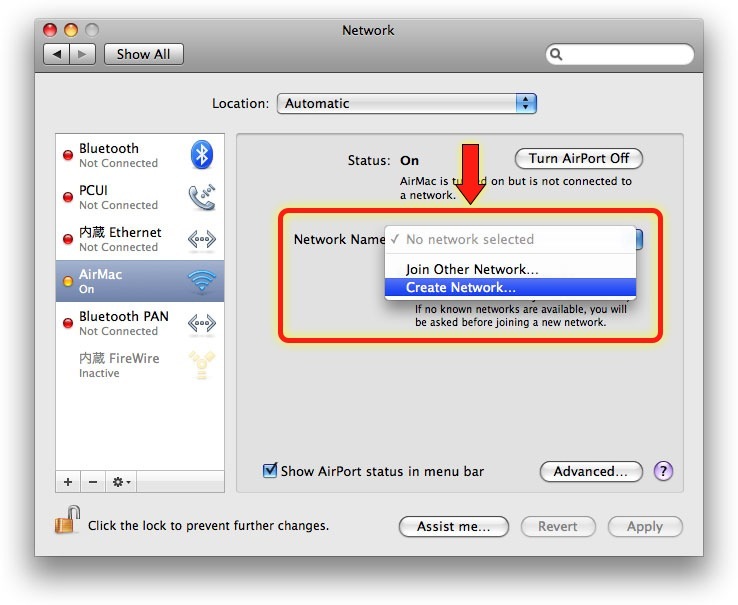 Choose “Create Network…” in “Network Name” pop-up menu. 4. Set your Mac’s Name. ex. 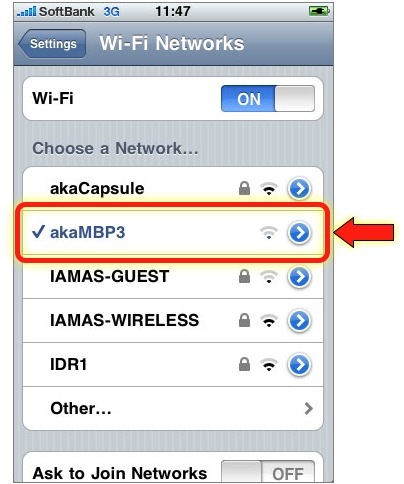 “akaMBP3” in this case. 8. Choose “Manually” in “Configuration IPv4” pop-up menu. 4. Choose your Mac. ex. “akaMBP3” in this case. 6. Choose “Static” in “IP Address” control. 7. 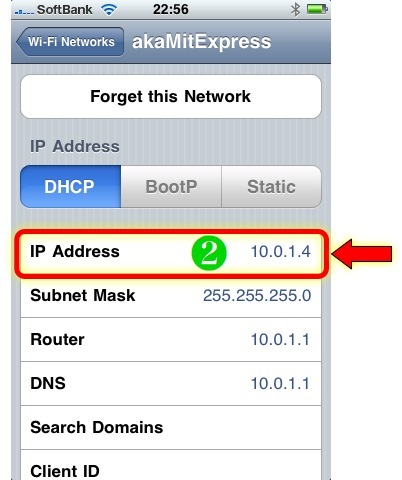 Set your iPhone’s IP Address. ex. “10.0.0.10” in this case. 8. Set your iPhone’s Subnet Mask. ex. “255.0.0.0” in this case. 2. Set your iPhone’s IP Address in “iPhone IP Address” field. ex. “10.0.0.10” in this case. 3. 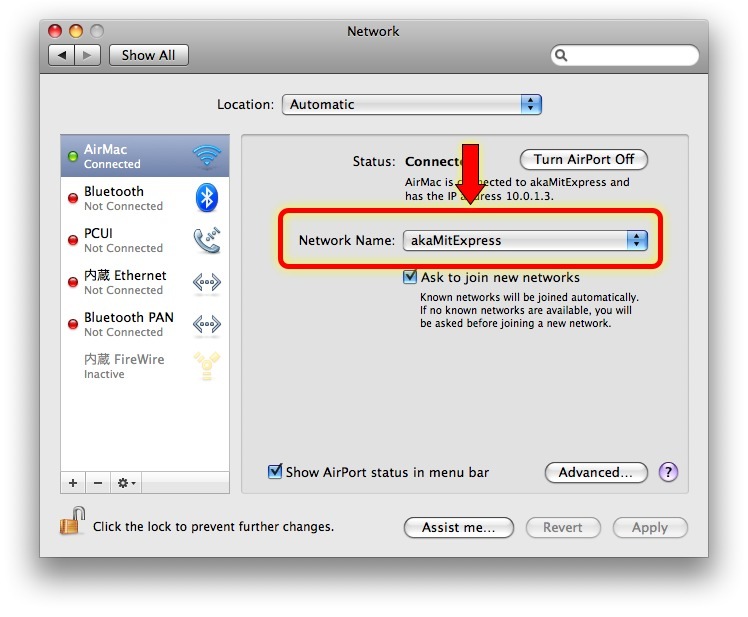 Set your Mac’s IP Address in “Host Address” ex. “10.0.0.250” in this case. i set all correct, but the connection doesn’t work. hello, I bought Remokon on appstore, download remokon monitor and try to set an air port connection but I couldnt do it, I was looking for help but I saw only help for iPhone and iPad and I have an iPod first generation, can you please help me? Hi Eduardo, Sorry for my delaying. (I don’t know why but I was not notified to your post.) I think the iPod first generation will work as same as iPhone. Let me know screenshots of your setup screens if you still have a trouble. Thank you. Hello Brennan, Ableton Live dose not support OSC directly. Therefore you have to use a OSC-to-MIDI converter such as i3L. Hi Brennan, You don’t have to jailbreak your iPhone. Remokon works on a normal iPhone/iPod touch.